Amazon Web Services had a lot of stuff up its sleeve this week with its new MySQL-compatible Aurora relational database service, a new Docker container service, a service catalog, and Lambda, an event-driven compute service. This week on the show, Derrick Harris and I do our best to put all this into context. 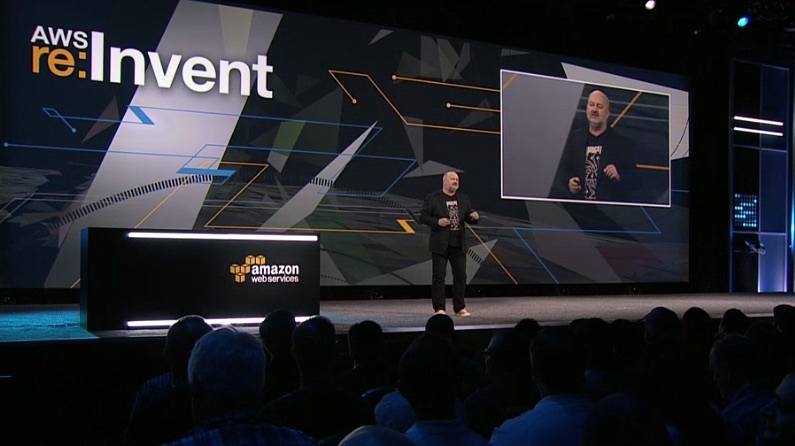 Amazon CTO Werner Vogels speaking at AWS Re:Invent. But lest we forget, there is a world outside [company]Amazon[/company] and in that world Hortonworks filed for an initial public offering, which could show how well the public markets will grok Hadoop. [company]New Relic[/company] also filed to go public. And in other big news that would have been unthinkable a few years back, [company]Microsoft[/company], with help from [company]Xamarin[/company], is open-sourcing .Net trove of development tools and frameworks. I’m still not convinced the bulk of Linux and Mac developers were waiting for this to happen, but hey, it’s a nice gesture no? So get comfy and listen up. And we promise we’ll have a guest next week.